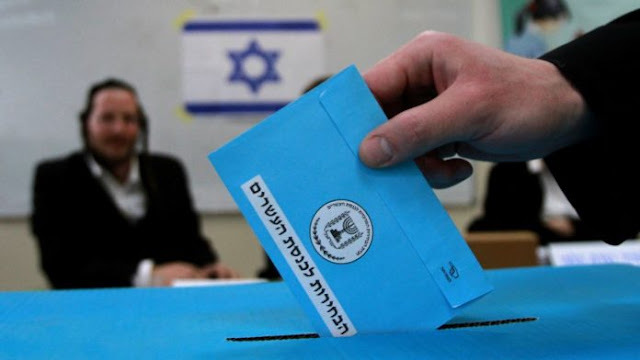 On April 9, 2019, Israel entered into early legislative elections to elect the 120 members of the 21st Knesset. Over 10,000 polling stations were thrown open to the public between 7 a.m. to 10 p.m. local time (4 a.m. to 7 p.m. UTC). Knesset elections had been due in November 2019 but were brought forward following a dispute between members of the current government over a bill on national service for the ultra-Orthodox population, as well as impending corruption charges against incumbent Prime Minister Benjamin Netanyahu. Israel watchers are predicting that this particular election could end Netanyahu’s 10-year uninterrupted run as prime minister. Or if he gets re-elected, virtually making him Israel’s longest-ever serving leader by surpassing founding father David Ben-Gurion's tenure. Despite the claims made by the supporters of Netanyahu with respect to having an effective safe environment for Israeli citizens and at the same time enjoying a booming economy - the incumbent leader might get upset with the poll results due to corruption cases against him and by ex-IDF chief General Benny Gantz who entered into the election as a strong contender. Most importantly, Benny Gantz, the son of a Holocaust survivor and a career army man with no previous political experience, founded a new party, Israel Resilience Party (חוסן לישראל / Hosen L'Yisrael), for the election, and combined it with the centrist Yesh Atid party headed by veteran politician and ex-finance minister Yair Lapid to form the center-left Blue and White list. In his first campaign speech on January 29, 2019, Gantz described Israel as "a leading high-tech country with a low-tech government that is self-employed". Since then he has been actively vocal against Netanyahu's policies — both domestic and international — on all type of campaigning platforms. Israel's Channel 13 published its final exit poll before the start of the election showed the Likud party and Blue and White list - each gaining 28 seats. Last Thursday, Channel 12 released a poll in which respondents were asked who they would prefer to see as prime minister: 37 percent answered Netanyahu and 35 percent said Gantz. According to Haaretz, Netanyahu's right-wing bloc would win 66 Knesset seats with Israel's centre-left parties winning 54. The post-poll coalition formation will be decisive. For much of the campaign, the Israel Resilience Party has out-polled Netanyahu’s Likud party. Latest polls give Likud the upper hand, but there are questions about their reliability and Gantz is still seen as a possible victor.